Dakota Star Quilt, by Ashton & Willow. The Dakota Star Collection features a striking palette of black and tan, with a combination of checked, solid, and plaid homespun fabrics. 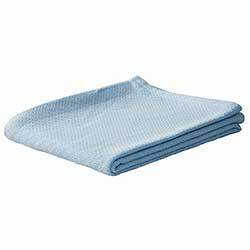 This is for the Luxury King-sized Quilt. 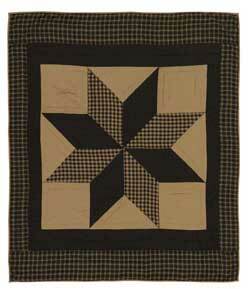 Features a traditional 8 point star in the center, surrounded by a feathered star quilted pattern. Backing is solid tan color. Measures 120 x 105 inches. 100% cotton shell and is hand quilted with stitch in the ditch and echo quilting. Ashton & Willow is a division of VHC Brands. Dakota Star Quilt, by Ashton & Willow. The Dakota Star Collection features a striking palette of black and tan, with a combination of checked, solid, and plaid homespun fabrics. This is for the Queen-sized Quilt. 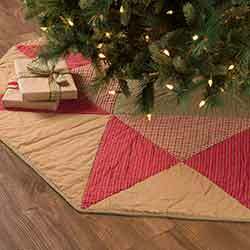 Features a traditional 8 point star in the center, surrounded by a feathered star quilted pattern. Backing is solid tan color. Measures 90 x 90 inches. 100% cotton shell and is hand quilted with stitch in the ditch and echo quilting. 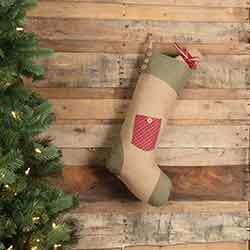 Ashton & Willow is a division of VHC Brands. Dakota Star Quilt, by Ashton & Willow. 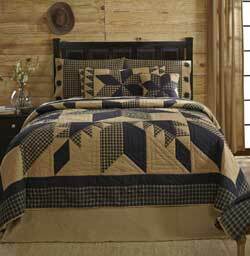 The Dakota Star Collection features a striking palette of black and tan, with a combination of checked, solid, and plaid homespun fabrics. This is for the twin-sized Quilt. 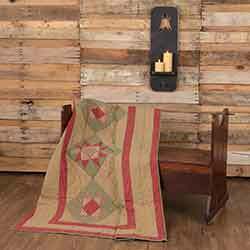 Features a traditional 8 point star in the center, surrounded by a feathered star quilted pattern. Backing is solid tan color. Measures 68 x 86 inches. 100% cotton shell and is hand quilted with stitch in the ditch and echo quilting. Ashton & Willow is a division of VHC Brands. Dakota Star Quilt, by Ashton & Willow. 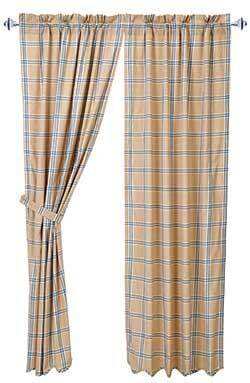 The Dakota Star Collection features a striking palette of black and tan, with a combination of checked, solid, and plaid homespun fabrics. This is for the Throw-sized Quilt. 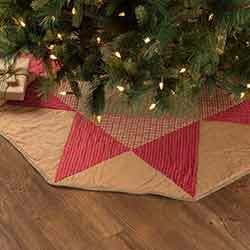 Features a traditional 8 point star in the center, surrounded by a feathered star quilted pattern. 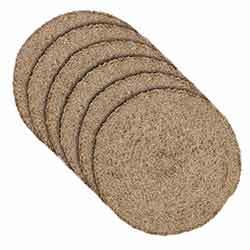 Backing is solid tan color. Measures 50 x 60 inches. 100% cotton shell and is hand quilted with stitch in the ditch and echo quilting. Ashton & Willow is a division of VHC Brands. The Danson Mill throw is made using yarns that are dyed and woven into a "tie dye" look using gray, black, browns and tans from the Danson Mill programs, using a very soft acrylic yarn. Measures 50 x 60 inches. 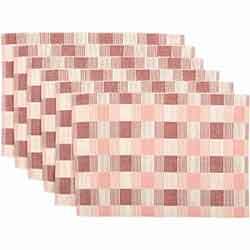 Give your country cottage a soft and romantic chic look with this table runner, in a pattern of dusty pink, mauve, and cream. 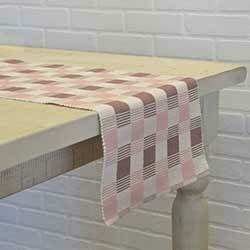 The Daphne Ribbed Placemat Set of 6, will make any pink aficionado's day. Delta Journey Crossbody, part of the Bella Taylor line by VHC Brands. Delta Rucksack, part of the Bella Taylor line by VHC Brands. Delta Wanderlust Tote, part of the Bella Taylor line by VHC Brands. Delta Weekender, part of the Bella Taylor line by VHC Brands. Delta Wide Tote, part of the Bella Taylor line by VHC Brands. 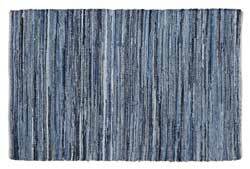 Denim & Hemp Chindi Rag Rug, by Lasting Impressions. 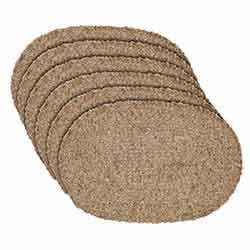 This rug is made of 100% cotton denim material with a hemp backing, so each one is unique! Comes in the following sizes: 20 x 30 inch, 27 x 48 inch, 3 x 5 foot, 4 x 6 foot, 5 x 8 foot, 6 x 9 foot, and 8 x 11 foot. Spot cleaning recommended. 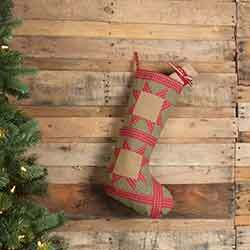 Due to the handmade nature of this product, sizing might vary slightly. 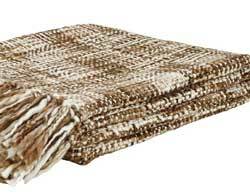 Devon Woven Throw, by Lasting Impressions. 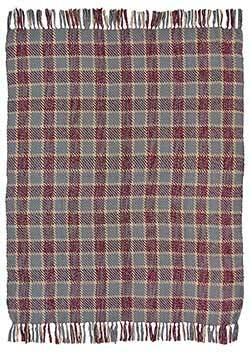 The Devon throw is made using very soft acrylic yarns that are dyed and woven into a plaid pattern burgundy and grey colors. Measures 70 x 55 inches. 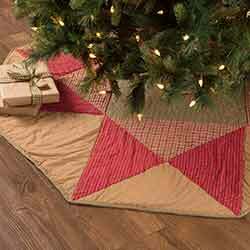 The Dolly Star 48 inch Tree Skirt features a large 8-point star that radiates from the center and touches the green edge binding. 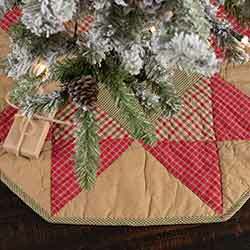 The Dolly Star 55 inch Tree Skirt features a large 8-point star that radiates from the center and touches the green edge binding. The Dolly Star 60 inch Tree Skirt features a large 8-point star that radiates from the center and touches the green edge binding. The Dolly Star Mini 21 inch Tree Skirt features a large 8-point star that radiates from the center and touches the green edge binding. 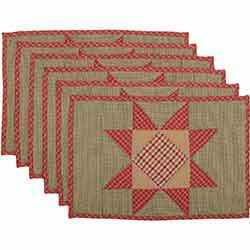 The Dolly Star Quilted 36 inch Table Runner is perfect for setting the table for a casual Christmas Eve dinner with the family. The Dolly Star Quilted 48 inch Table Runner is perfect for setting the table for a casual Christmas Eve dinner with the family. 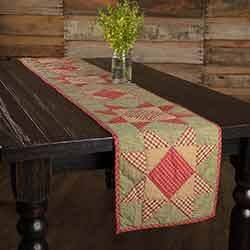 Hand-quilting and plaid 8-point stars bring a folksy atmosphere to the table. 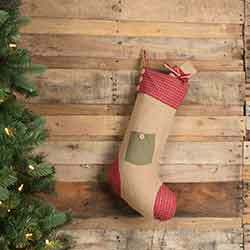 The Dolly Star Quilted 72 inch Table Runner is perfect for setting the table for a casual Christmas Eve dinner with the family. 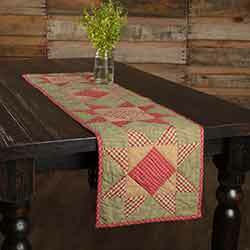 Hand-quilting and plaid 8-point stars bring a folksy atmosphere to the table. 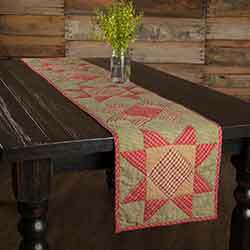 The Dolly Star Quilted 90 inch Table Runner is perfect for setting the table for a casual Christmas Eve dinner with the family. 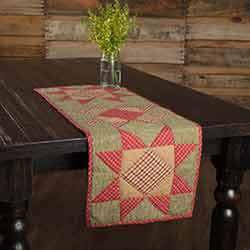 Hand-quilting and plaid 8-point stars bring a folksy atmosphere to the table. Features red-plaid 8-point stars set in emerald green diamonds on a natural tan background.